Though today is Wednesday, my favorite day of the week, it feels more like a Monday. Here in the U.K. it’s the dreaded first day back to work after the Christmas holidays. 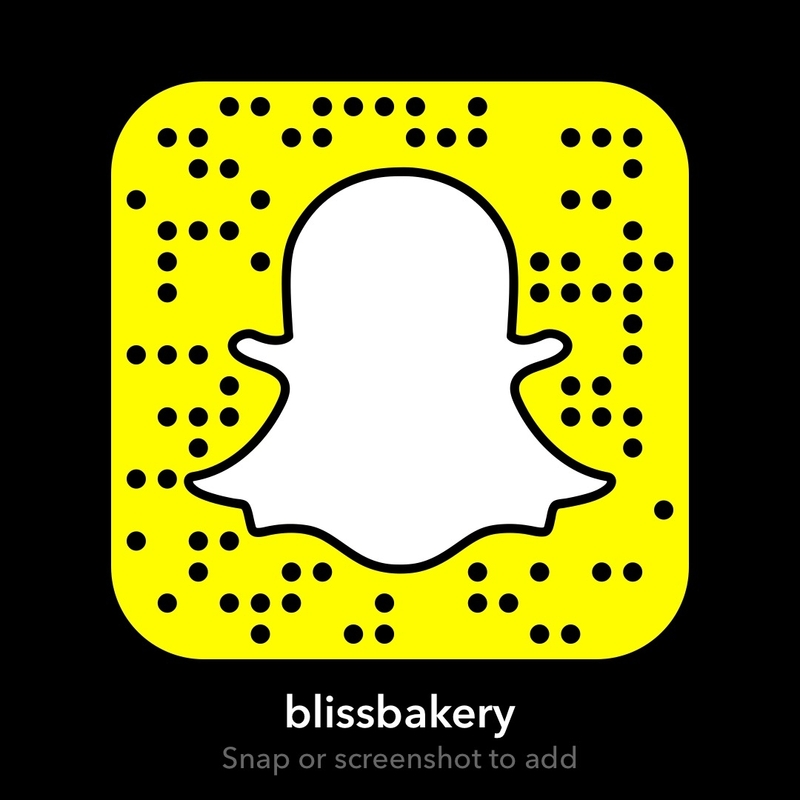 But the minute I start my Woman Crush Wednesday cooking tutorial on Snapchat (username blissbakery) all that will change. I will bust out some singing (off key) and another fabulous recipe from a female foodie. And for the last WCW of 2016 I’ve got a winner! Sally McKenney of Maryland in the U.S.A is the chef and creator of Sally’s Baking Addiction. One of the most popular food bloggers around, she is also the author of two awesome cookbooks. One is all about baking and another candy making. 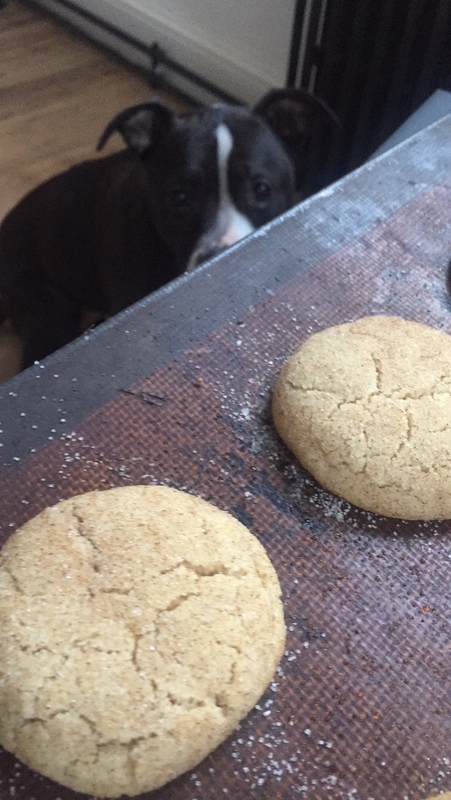 And the rumor is that a third is on the way, and it is all about cookies!!! 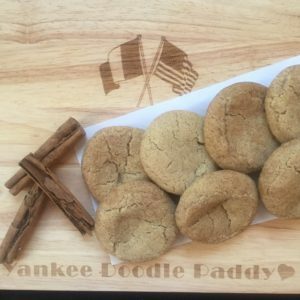 So we defo have to bake one of her most famous treats of all, the cinnamon, sugar, chewy delight called Snickerdoodle. 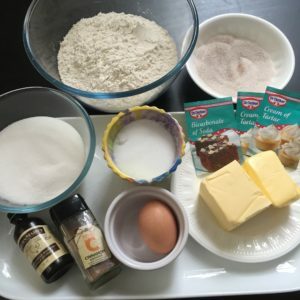 I’ve never made her recipe before (as with all of the WCW episodes, I must try a new recipe) but it looks pretty quick and easy, so I’ll get going with it now! Preheat oven to 375°F (190°C). Line two large cookie sheets with parchment paper or silicone baking mats like I did. Set aside. Make the topping: mix 1/4 cup granulated sugar with 1 teaspoon cinnamon in a small bowl. Set aside. 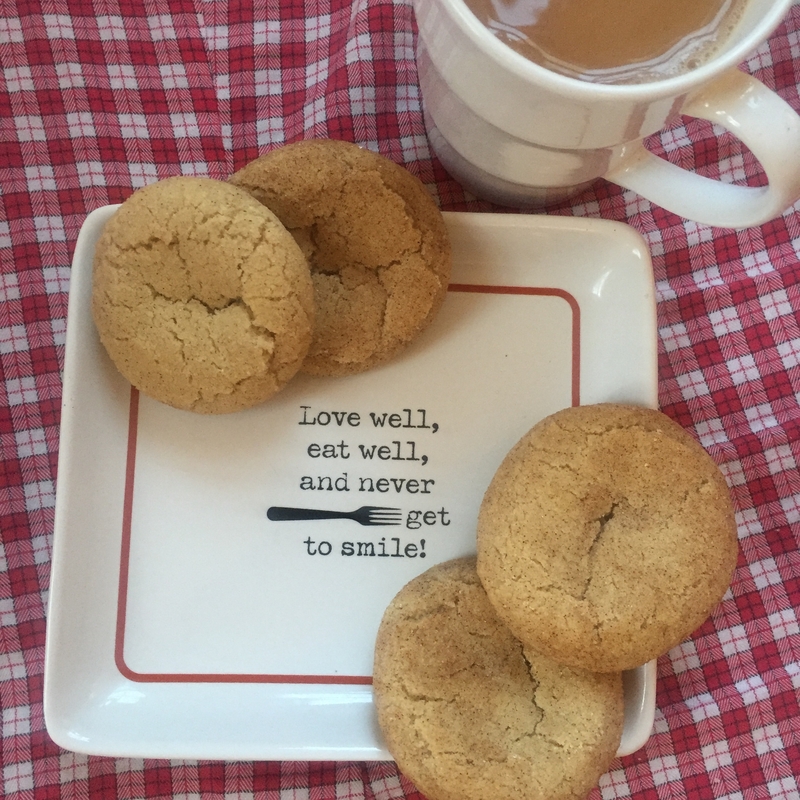 Make the cookies: In a large bowl using a hand-held mixer or stand mixer with paddle attachment, cream the softened butter for about 1 minute on medium speed. Get it nice and smooth, then add the sugar on medium speed until fluffy and light in color. Add in the egg and vanilla, keep mixing. Stop and scrape down the sides from time to time. Set aside. In a medium size bowl, stir together the flour, cream of tartar, baking soda, cinnamon, and salt. With the mixer on low, slowly add the flour mixture to the butter mixture ingredients in stages. Once it’s all incorporated, take a 2 TBSP size of dough and roll into a ball. Roll the dough balls into the cinnamon-sugar topping. Sprinkle extra cinnamon-sugar on top. Bake cookies for 10-11 minutes. Allow cookies to cool on the baking sheet for 10 minutes then transfer to baking rack to cool completely. 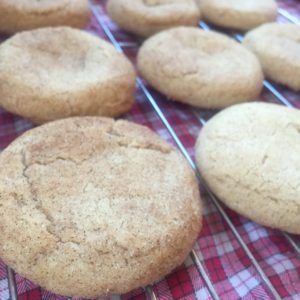 Wow, these are without a doubt the best Snickerdoodle cookies ever. Hubby is a massive fan, his all time fav cookies, so he will got nuts for these. They are the perfect balance of chewy and every so slightly crunchy around the rim. And the cinnamon to sugar ratio is perfect. Sally’s recipe says that the cookies will last 7 days in an airtight container. Um, my guess is they won’t last 7 hours in this house. I’ve already eaten two! One for my end of tutorial tasting time and maybe another while I cleaned up? And quite possible a third afterwards to give me fuel to write this LOVE story for Sally! 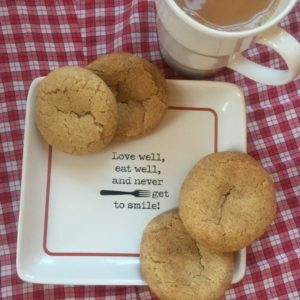 Her recipes are so easy to follow and I love her passion for baking which shines through each of her blog posts. She is a fab photographer and because of that all the mouthwatering images make me want to re-create every recipe in her arsenal. She’s so kind to her readers and quite interactive with them. A very down to earth lady, who deserves her well earned success. 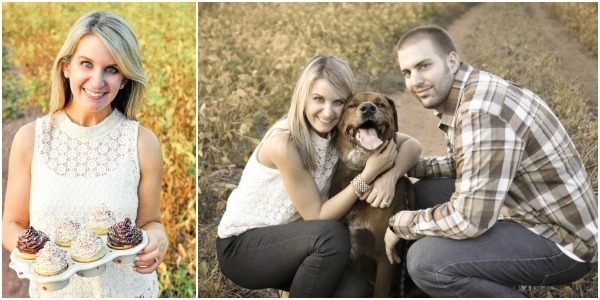 She is married and her hubby has to be the luckiest man to be a taste tester! And her sweet dogs are just the best! I’m sure Stella would prefer to be with her and not subjected to my bad singing in the cooking tutorials LOL! But as you can see in this pic below she isn’t far when there are tasty treats around. I just love doing Woman Crush Wednesdays and have been wanting to honor Sally for quite some time. She is such an inspiration to all of us who love baking with her creativity and self taught know how. And she is so good about offering tips and tricks for beginning bakers. As well, she left behind a secure job in the business world to pursue her dream. For that she is not only Woman Crush on today, Wednesday, but for life. Continued success to you Sally McKenney!